65 USD A Night. All Right For Some? 65 dollars a gig plus tips? For some, that might not be so bad and if you live in Portland, Oregon, America and you're interested then check out this recruitment ad for quizmasters. Established company Pub Quiz USA is looking for new blood on the mic but of course, they're taking their cut. 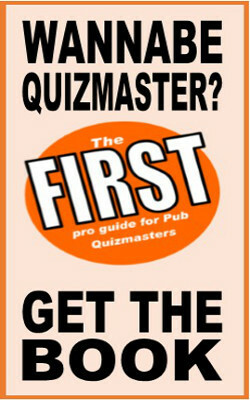 Of course, for an outlay of less than twenty quid, you could get a copy of my amazing ebook for pub quizmasters and that'll teach you everything you need to know to get out and earn money off your own back as a cool pub quizmaster.